Hello, Frank Indiviglio here. Although varying dramatically from one another in appearance and lifestyle, corals, jellyfishes and sea anemones are closely related. Classified within the phylum Cnidaria, both immobile forms (“polyps”) and mobile species (“medusas”) bear unique stinging organelles known as nematocysts, with which they capture prey and defend themselves (many are capable of delivering painful stings and should not be touched with bare hands). With over 10,000 species to choose from, the aquarist interested in Cnidarians will never be bored! I first ventured into marine aquarium keeping at age 7, with a jellyfish I had captured. I provided it with fresh sea water daily, which likely supplied some food items. However, all glass aquariums were not yet available, and the unfortunate beast was poisoned, no doubt, by rust leaching from its tank’s metal frame. Jellyfishes are increasingly exhibited and bred in public aquariums, but most are difficult to maintain at home. One exception is the upside down jellyfish, Cassiopeia andromeda, which is now available in the pet trade. In most “un-jellyfish-like” fashion, this species rests on the substrate with its tentacles trailing in the water above. Much of the upside-down jellyfish’s food is produced by symbiotic algae, so intense lighting is necessary. It will also consume newly-hatched brine shrimp, but it cannot compete with fast moving aquarium fishes. Until recently, corals were considered nearly impossible to keep in home aquariums. Water quality is exceedingly important, as is the wavelength and intensity of the lighting provided. Many corals obtain much of their food via the action of the symbiotic algae which live within them. Without proper lighting, the algae perish…additional food provided thereafter cannot keep the coral alive. Fortunately, a variety of commercially available lights and foods have now simplified coral husbandry (please see below). Most corals feed upon plankton-sized food items. One exception is the popularly-kept tooth coral, Euphyllia picteti. This species readily takes pieces of shrimp and other large foods, and its appetite is therefore easy to satisfy. Until recently, over-collection was a leading clause of coral reef destruction. Although collecting is now outlawed in many areas, please be sure that any coral you purchase is commercially cultured, as is our stock at ThatFishPlace/ThatPetPlace. Sea anemones are well-suited for aquarium life, although most perish quickly if kept in sub-optimal water quality or without a steady current of water flowing over them at all times. Sea anemones and the clown fishes that often shelter within them make for a beautiful and interesting display. The white, brown or pink Caribbean anemone (Condylactis gigantea) is quite hearty but is rarely adopted as a home by clown fishes. More attractive to these popular fishes is the purple-based anemone, Heteractis magnifica. This anemone is unusually active, and quite frequently travels about the aquarium. Anemones will thrive on weekly or twice weekly meals of shrimp, clam, fish and similar foods. Please check out our metal halide bulbs, T-5 fluorescent bulbs and filter-feeding invertebrate foods, all of which have greatly simplified the captive care of corals and their relatives. For further information on keeping jellyfishes, please see our article The Upside-down Jellyfish in the Home Aquarium. 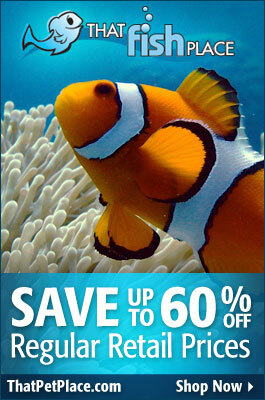 Please also check out our extensive line of coral propagation and reef books.